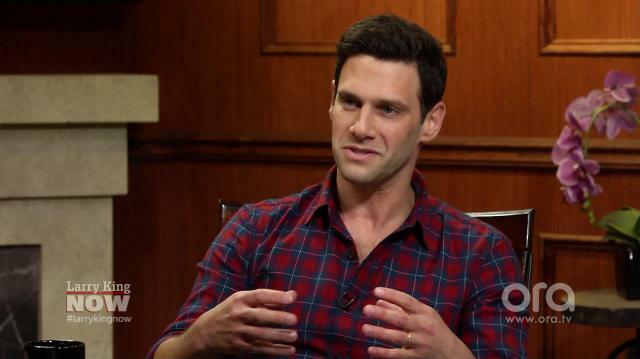 Justin Bartha says he sees striking similarities between the Trump administration and Putin’s leadership in Russia, including a focus on identity politics and attempts to distract the public from what’s really going on behind closed doors. Larry King: What do you think of Mr. Trump, everyone has an opinion? Larry King: What’s the name? Justin Bartha: ‘HyperNormalisation,’ it was made by a BBC filmmaker named Adam Curtis who’s a brilliant filmmaker, and he made this film that you can watch free on YouTube. And it really explains, starting in 1975 in New York City when the city almost went bankrupt, up until how we got to where we are now, and it’s a dense documentary, but you see how a lot of the techniques of what Putin used in his presidency, with the theater of politics, with the distraction of the populace, playing everyone against each other so that a capitalist faction or a dictator-like point of view can get through, I think that the way that Bannon deals with Trump, I think that it’s taken from that rulebook, if you study that kind of Russian politics, it’s almost taken to a T. So what frustrates me is that I think that the hardest thing about him is that people are so easily distracted by identity politics and by the clearly racist things that he, I don’t know supports, but tries to needle the public. And I think by needling the public it allows him and the billionaires that he has appointed to his administration to do whatever they want. Larry King: Like do a little dance. Justin Bartha: Yeah, you do a little dance so when you see, even piggy-backing on learning about, as you know, tabloid journalism, which he’s the king of, and entertainment journalism, how entertainment and journalism has completely conflated, it’s hard to understand what’s real and what’s not. He’s brilliant at that. Larry King: Yeah he is. Larry King: Watch new episodes of ‘Larry King Now’Monday, Wednesday, andFridayon demand on Ora TV and Hulu.